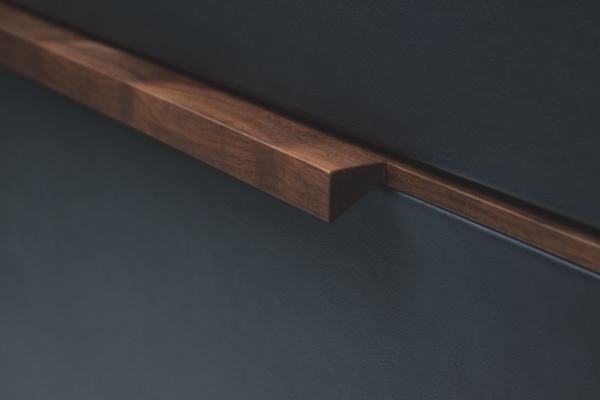 The Element Credenza satisfies our high standards – and your unique demands. 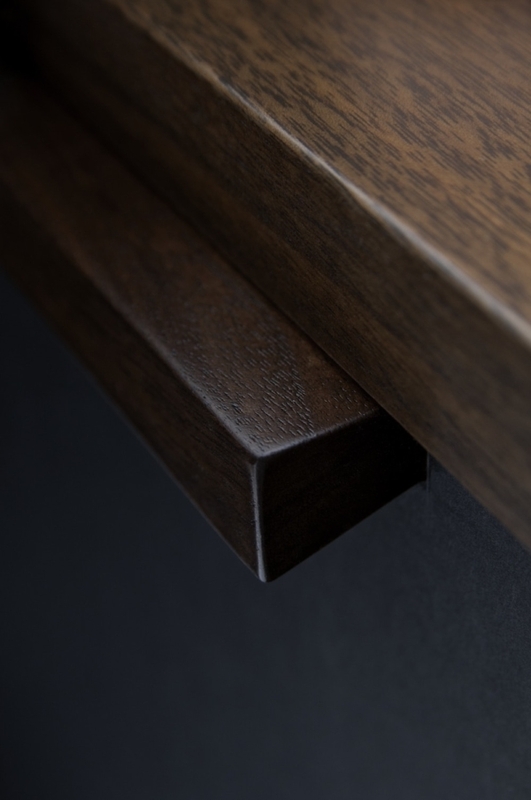 Drawn from our Element Collection, the credenza reflects our devotion to modern design and quality craftsmanship, including clean simple lines, discreet integration of functional components, use of traditional joinery techniques, and bringing out the essence of the wood the credenza’s rich customization potential makes it the perfect complement for your vision. 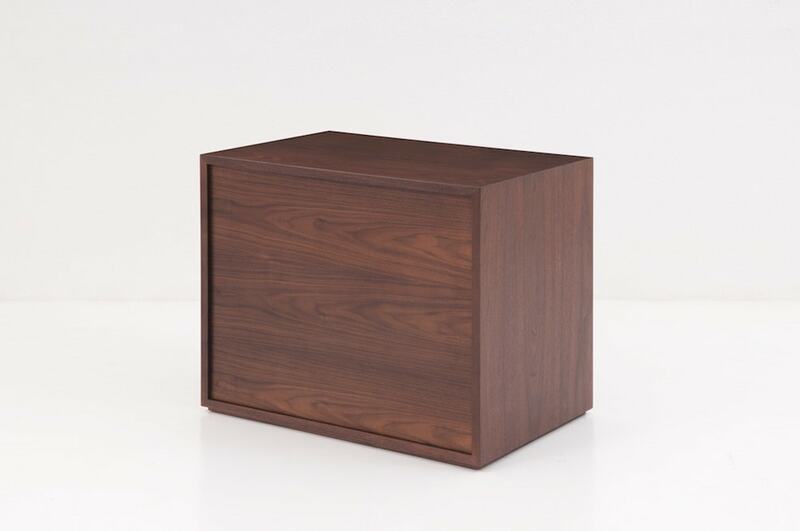 Paired with an Element Desk, this credenza can serve as a file cabinet return, or, with the optional base, as a standalone feature. 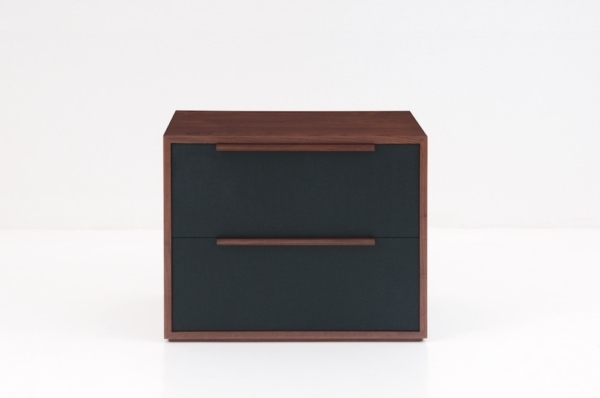 The leather-wrapped drawer fronts add a soft touch that complements the clean, sharp angles. Please choose product options in ‘Made to Order’ section above to view dimensions. Purpose designed to meet the storage needs of the modern office, the Element Credenza is distinctive for its drawers, which feature dovetailed leather-wrapped fronts. 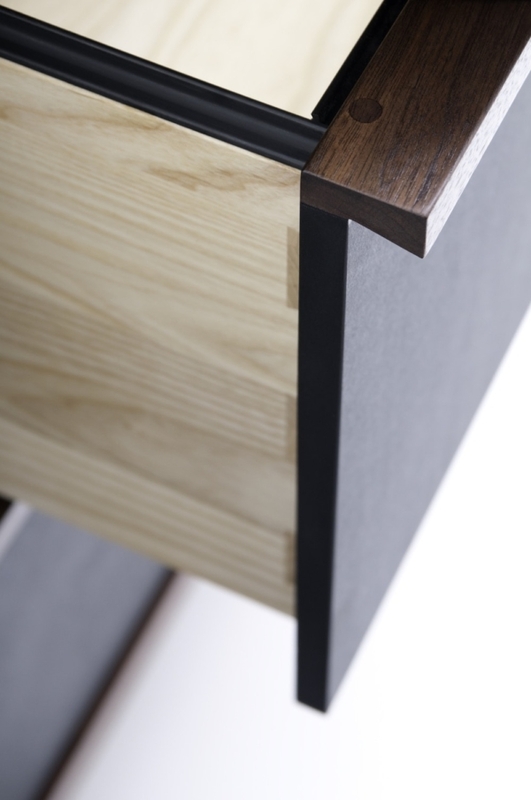 Each drawer is accessed through the use of a slender top handle in hand-finished joinery that rest in contrast to the dark drawer faces. 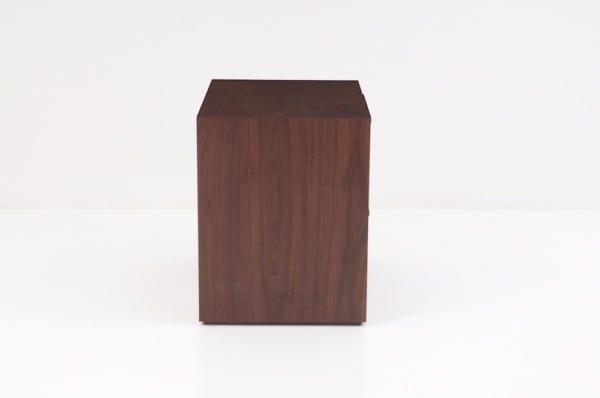 Elevating the piece, the Credenza’s cabinet rests atop a hardwood base crafted of squared legs and spreaders, elevating it off of the floor. From home office, to conference room to an executive suite, the Element Credenza can suit the varying needs of many environments. Available in walnut or cherry as standards, it can also be made in most any other American hardwood of your choice. 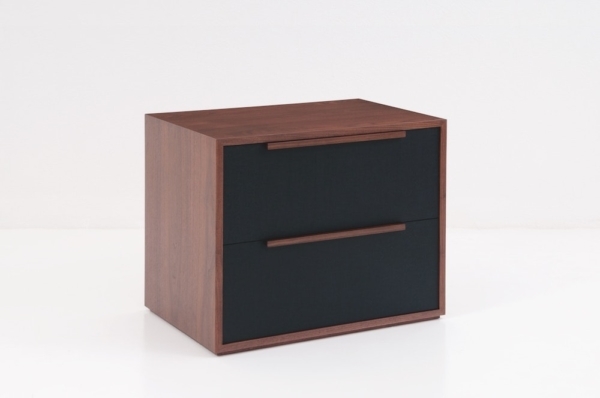 The Element Credenza comes standard in two- and four-drawer configurations or can be customized to suit your specific requirements. Designed by Adam Rogers, the Element Collection was first introduced at NeoCon 2013, where the Element Desk and Credenza earned a silver award for Case Goods at the Contract Magazine Best of Neocon Awards.